Welcome to Rake Lane Cemetery Website. A special feature of this cemetery is that many of its monuments are connected with major maritime disasters of the early twentieth century, including Titanic, Lusitania and the Empress of Ireland. But, among other associations with the sea are the Liverpool pilot boat disasters of 1917 and 1939 and the tragic loss of the submarine Thetis. There are some notably beautiful headstones, such as the full-rigged sailing ship carved in relief on an American sea captain's grave of 1885 and another of New Brighton lighthouse to commemorate one of its keepers. Soldiers are buried here who fought in the Crimean War, the Boer War and another who fought with Garibaldi in Italy. There is also a memorial to 'One of The Few', a hero of the Battle of Britain. 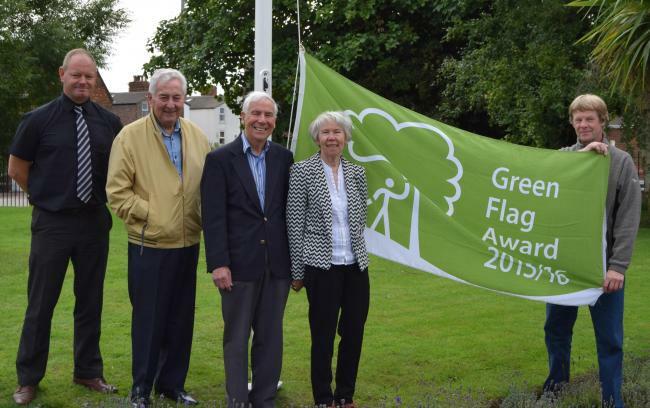 ​Wallasey cemetery is flying the Green Flag after the hard work and devotion of its staff and volunteer. The award recognises and rewards the best green spaces. Wallasey team leader Terry Bainbridge, from Wirral Council's parks, allotments and countryside team said: "This is the first one in the North West for a cemetery. The Green Flag is a standard of all the hard work of the Friends group and staff here and all of the other people who do a lot of hard work."​. What makes the award even sweeter for the Friends of Rake Lane is that they got it on their first attempt, something not many groups achieve. Rake Lane is known for its many monuments connected with major maritime disasters of the early 20th century, including Titanic, Lusitania and the Empress of Ireland. We have occasional guided tours. Copyright © 2017 · The Friends of Rake Lane Cemetery - All rights reserved. Any unauthorised copying or mirroring is prohibited.